A big part of my college decision came down to location. After a short trip to the west coast during my freshman year of high school, I had fallen in love with the the way the forests are dauntingly dense and simultaneously inviting. I was hooked by the endless hills, the sight of the mountains peeking out from behind buildings, my little tent next to the Hood river, and most of all, the novelty and excitement of an unknown place. Whitman offered me everything I was searching for. Its academic rigor, close-knit community, and location at the foot of the Blue Mountains -3,019 miles from my hometown of Yarmouth, Maine- was unparalleled. 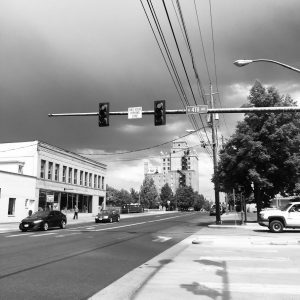 The Pacific Northwest was thrilling and unfamiliar, yet the small town of Walla Walla was comforting and homey. Throughout my time at Whitman, the town has revealed itself to be rich with lovable aspects and my appreciation for it has only grown. Here are a few of my favorite things about Walla Walla. Walla Walla comes with a plethora of great dining options. 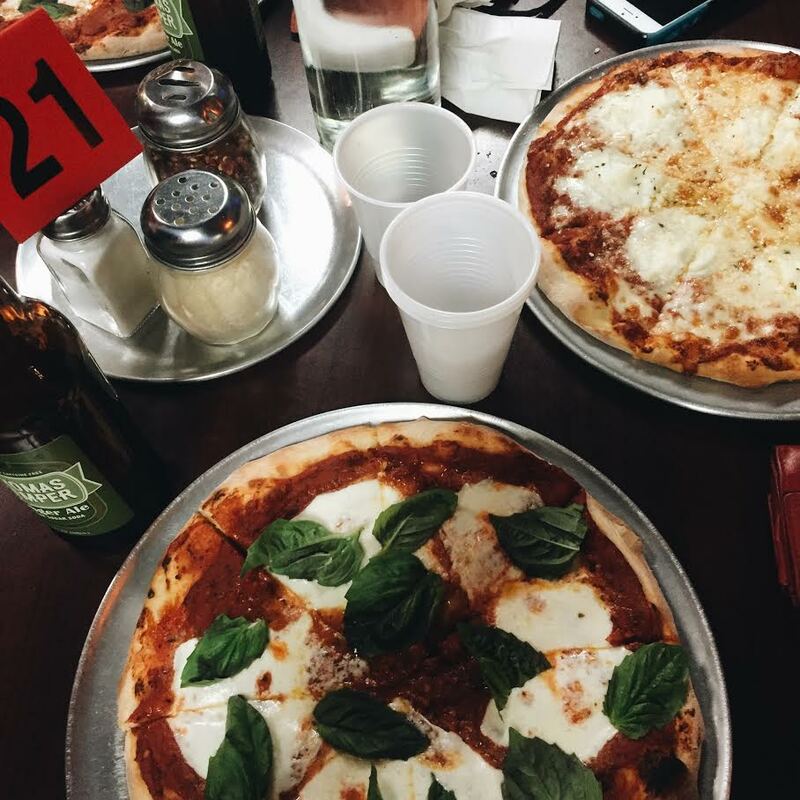 While the restaurants and bars could keep visitors busy for months, a few spots around town are student favorites. For breakfast, The Maple Counter Cafe offers rich, large-portioned gourmet breakfast and lunch. Just a few minutes away, Bacon & Eggs is another cozy and delicious breakfast spot. For lunch and dinner, Graze on Colville street sells absolutely incredible gourmet sandwiches, soups, and salads while Sweet Basil, just a block down, has tasty New York style pizza and calzones. If you are looking for something a bit fancier, Brasserie Four on Main Street serves incredible classic French cuisine and the Saffron Mediterranean Kitchen on Alder specializes in creative, PNW-inspired Spanish and Italian fare. Another enticing aspect about living in Walla Walla is its profound beauty throughout the entire year. I find myself humbled by my environment almost everyday. Visiting the expansive Wheat Fields with Walla Walla’s breathtaking sunsets as a backdrop is consistently spectacular. Hiking trails and waterfalls are near by and accessible, and Walla Walla has plenty of parks (Pioneer Park, Jefferson Park, Memorial Park, Heritage Park) overgrown with flowers for Springtime picnics. Downtown is frequently lively with shoppers, students, and wine-tasters. This bustling atmosphere is one of my favorite aspects of Walla Walla. A variety of comfortable coffee always ensures a great place to study. But there is also much, much more. With live music, food truck nights, a movie theater, farmers markets, performances and plays, there is never a shortage of events to attend in Walla Walla year round. Walla Walla is an exciting extension of Whitman’s campus. Its food, beauty, and events offer students tons of fun options when they want a study break or a chance to get off-campus. Exploring the town’s incredible wineries and restaurants, scenic hikes, and town activities has been some of my favorite aspects of going to school at Whitman. 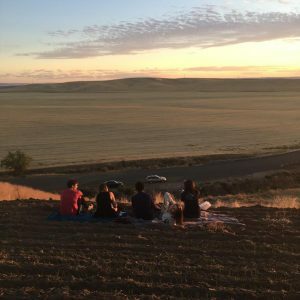 With an abundance of things to do and breathtaking beauty day and night, Walla Walla is one of Whitman’s best assets. This entry was posted in Student Life, Visit, Walla Walla.